Call us today to reserve your appointment. 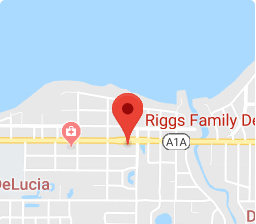 Dr. Crystel Riggs and the entire team at Riggs Family Dentistry specialize in helping you achieve a healthy, attractive smile. Dr. Riggs can offer you a custom-designed “smile makeover.” Whether it is as simple as whitening your teeth, or as complex as redesigning an entire smile, Dr. Crystel Riggs knows that your smile deserves the care and experience she brings to the aesthetic side of dentistry. You can alter the color, size, length, and shape of teeth by bonding porcelain veneers to the front surface of your teeth. 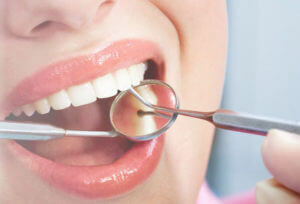 Dr. Riggs utilizes the Invisalign clear aligners for straightening your teeth. The process consists of a series of digitally fabricated, virtually invisible aligners. Unlike traditional braces, Invisalign patients generally benefit from less tooth decay because they are removable, can be taken out while eating, and allow for normal brushing and flossing regimes. If your teeth are misaligned, crowded, or gapped, Dr. Riggs will determine if you are a candidate for Invisalign clear aligners. Teeth whitening or bleaching is an inexpensive and effective treatment to visibly brighten the color of your teeth, and is one of the most common dental procedures done today. Dr. Riggs finds that the positive effects of her teeth whitening treatments can last up to five years, depending on a patient’s overall dental hygiene and exposure to tooth-discoloring activities. Dr. Riggs offers both in-office and at-home teeth-whitening systems by Opalescence that contain a desensitizing agent for those with sensitive teeth. She will typically use these in tandem when an immediate result is desired. For the at-home portion of your teeth-whitening treatment, Dr. Riggs will make a dental impression of the teeth you wish lightened during your first visit. That impression is used to create a model of your teeth in order to fabricate a custom whitening tray that will fit perfectly over your teeth when filled with the at-home whitening gel. Dr. Riggs will teach you how to use and position the tray. Dr. Crystel Añaños Riggs graduated from the University of Florida, College of Dentistry and has been in practice for over 20 years. She strives to serve her patients with the highest quality of care in a warm and comfortable environment. You will be greeted with a smile from the time you walk in the door until the time you leave and we hope you will be able to say that it was the best dental experience you have ever had.